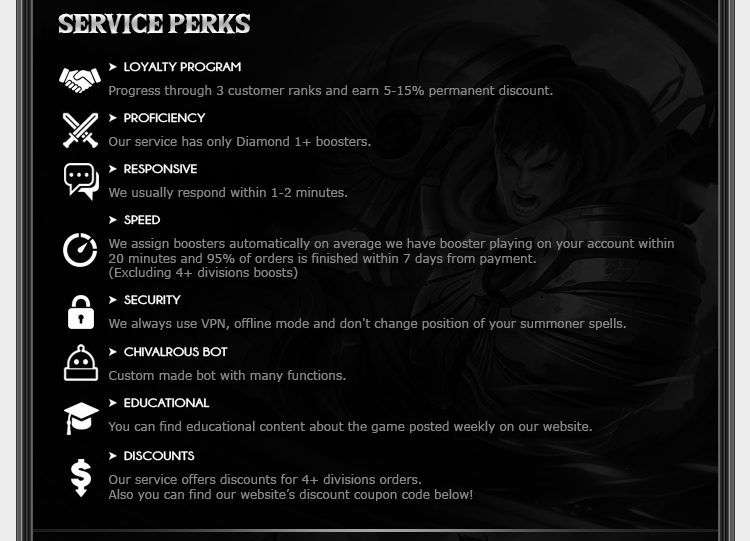 We're currently running giveaway of Diamond 5 unverified account! No purchase is required to enter just subscription to our newsletter. Join the giveaway and explore our cheap elo boosting offers. Edited by chivalrousboosting, 10 May 2018 - 03:31 . LoL Boosting Service! Road to Diamond!